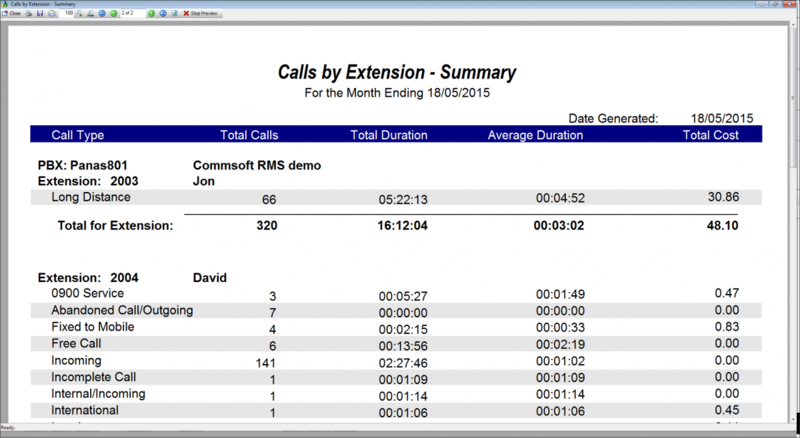 Entry level affordable and effective call logging, reporting and call accounting. 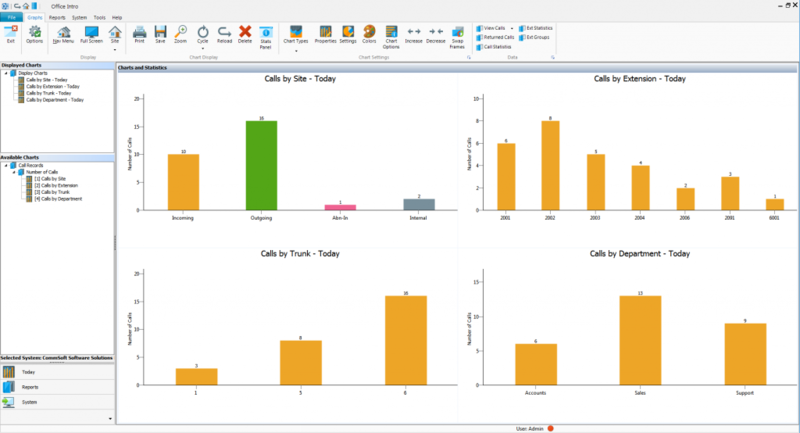 Specifically developed for smaller businesses, a fully integrated software solution providing valuable business intelligence to increase efficiency and enhance business performance. 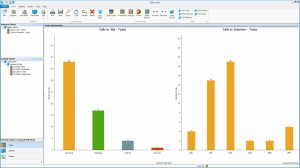 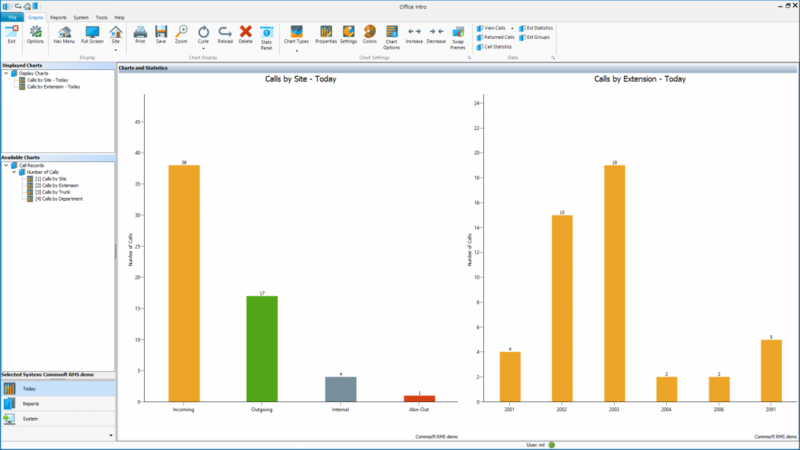 The Intro “Today” screen provides a quick graphical view of daily call volumes by site, extension, trunk and department. 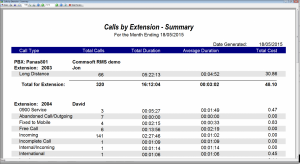 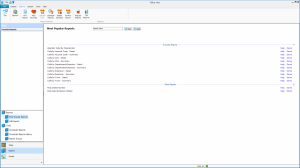 Intro has 12 reports that provide information to measure call volumes and report on inbound and outbound calls to Trunks, DID/DDI’s, extensions and departments. 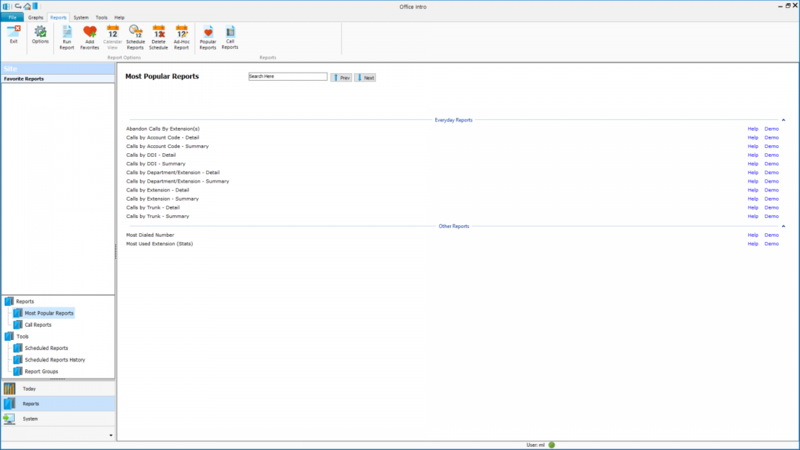 Reports can be run manually to PC screen or PDF reader or scheduled to run automatically to a printer, a file location or sent as an attachment to an email. 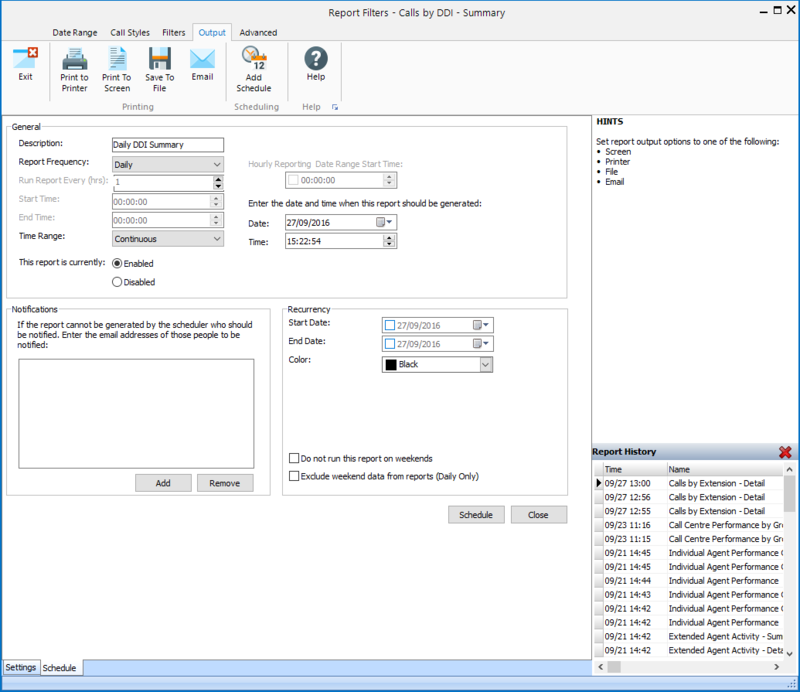 Reports can be saved in popular formats such as PDF, MS Excel, Word, html and many more.